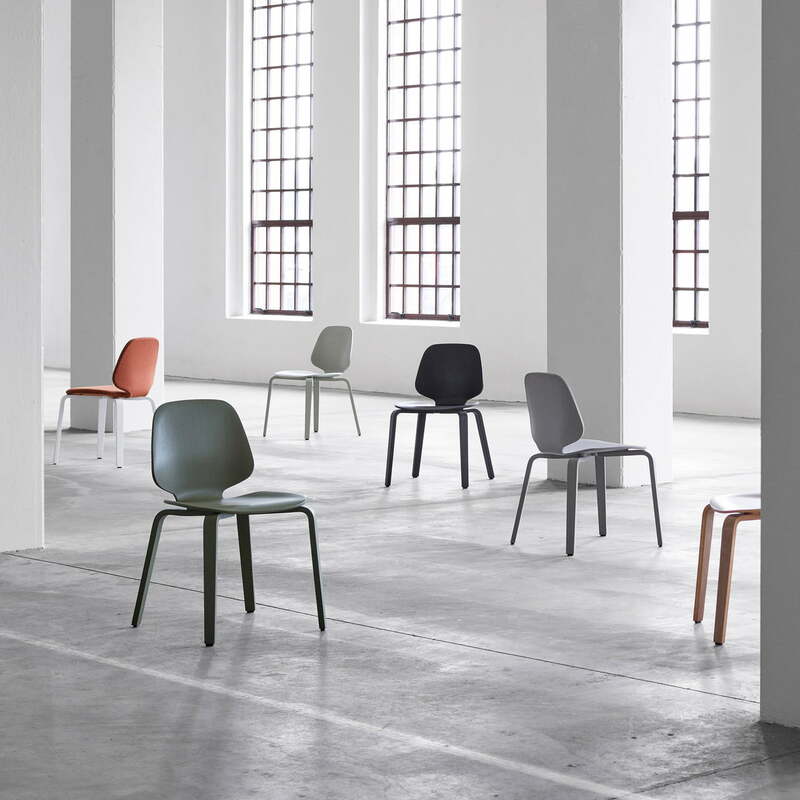 The My Chair by Normann Copenhagen was designed by Nicholai Wiig Hansen in 2013. 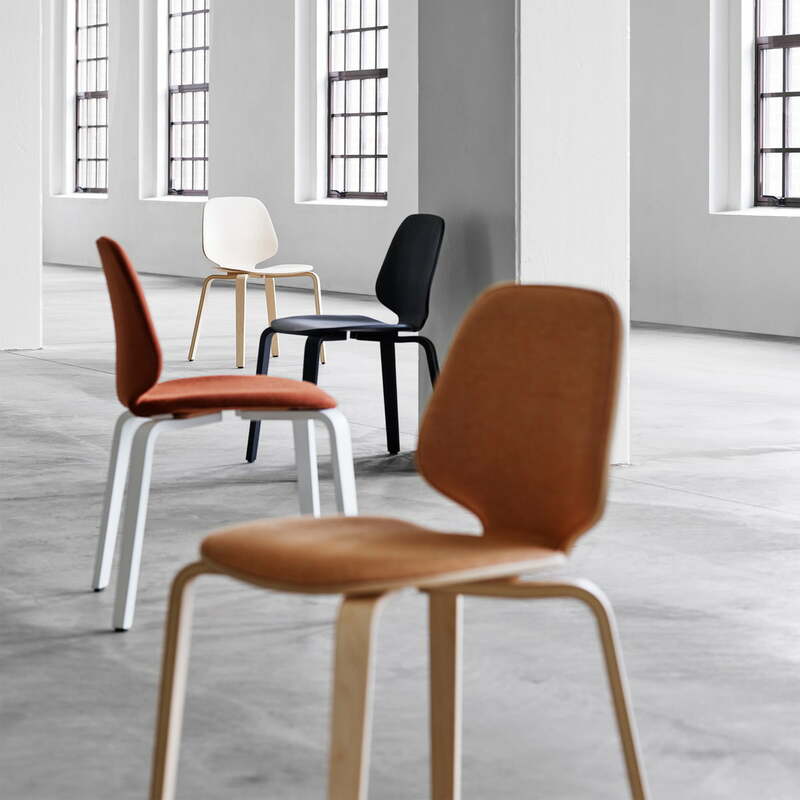 The chair with a steel frame and a seat shell made of veneer is already a classic. Made of moulded veneer that moves easily with the body, the chair looks simple and timeless. The strict formal language of the chair finds its counterweight in the rounded corners and the curved waist. 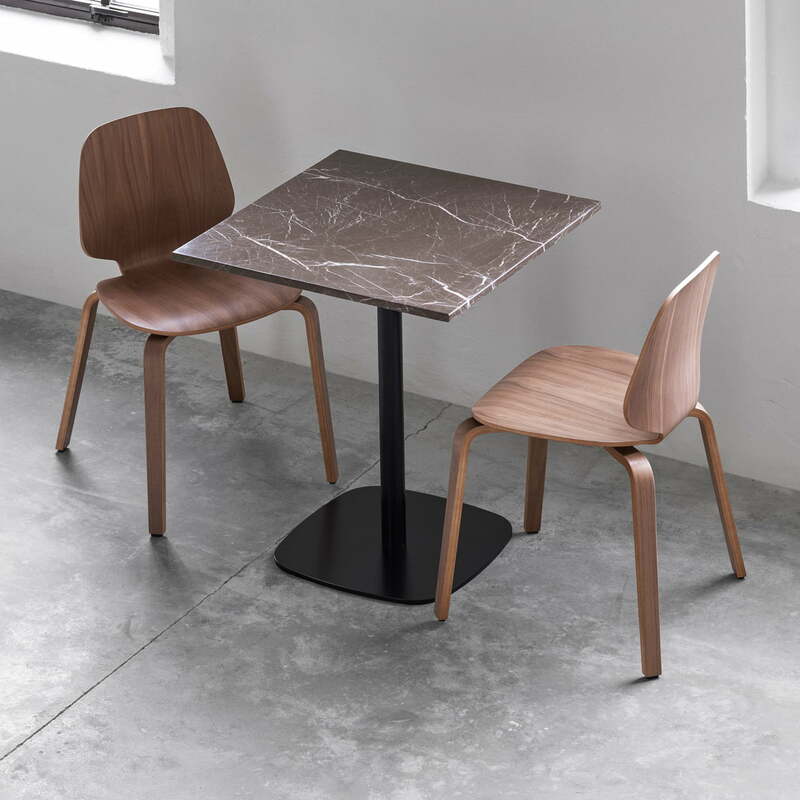 With its simple, minimalist appearance, the chair is suitable for both private and public use. Several stackable My Chair chairs together create a harmoniously discreet image in the room. 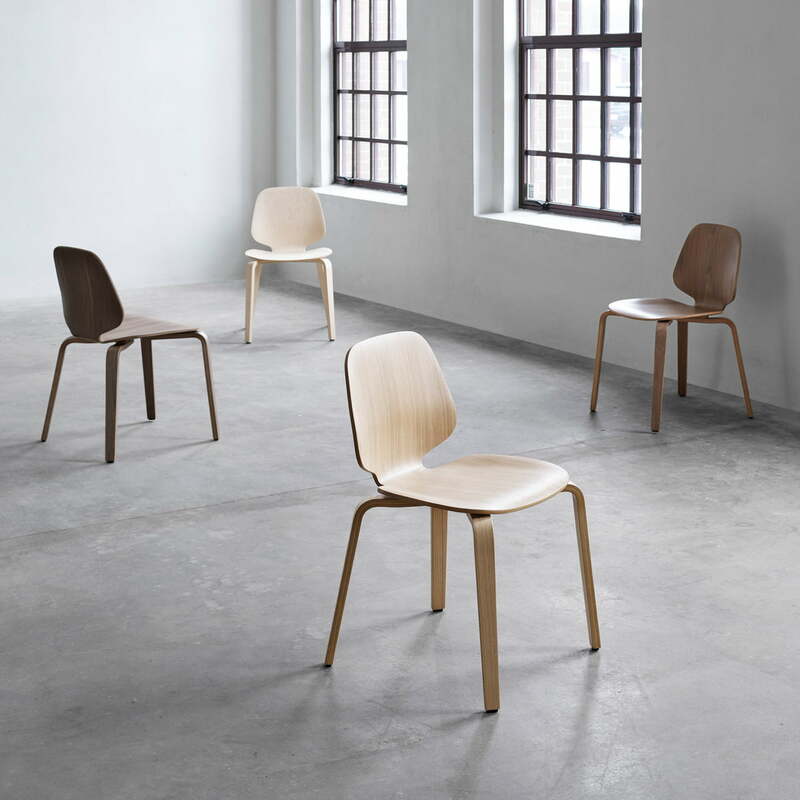 The My Chair Wood with a seat height of 45 cm is available in different wood species such as birch, oak or walnut as well as in different colours. In addition, My Chair can be upholstered in a variety of textiles and a front upholstery can also be selected. All models are available with legs in wood, chrome or powder coated steel. Thus the chair adapts optimally to any ambience and can be optimally combined with other chairs. In addition to the My Chair chairs, the My Chair series also includes a My Table, lounger chairs and bar stools in various heights. 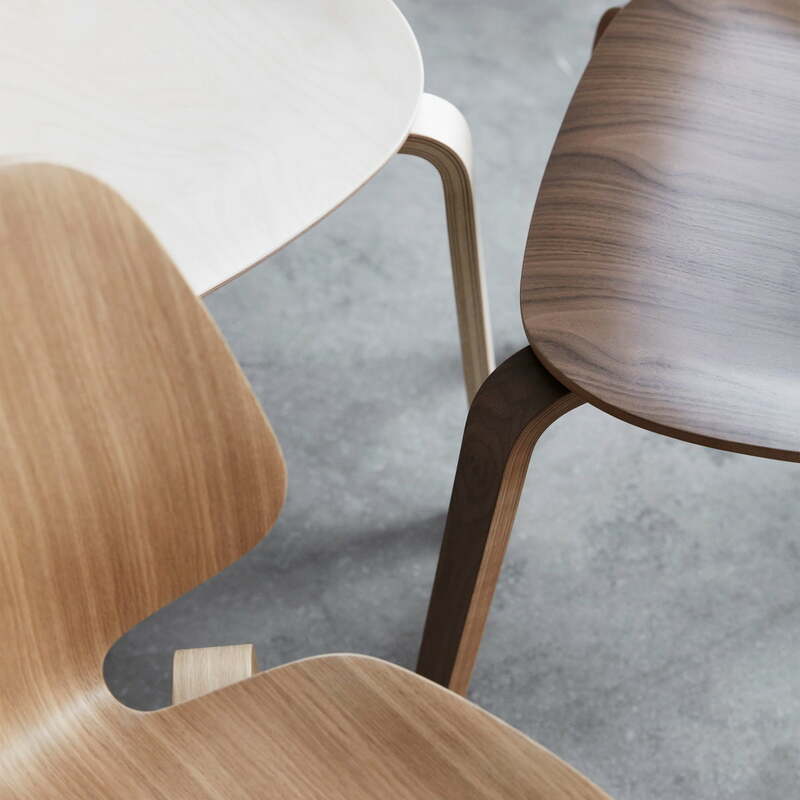 The strict formal language of My Chair Wood by Nicholai Wiig Hansen for Normann Copenhagen finds its counterweight in the rounded corners and the curved waist. 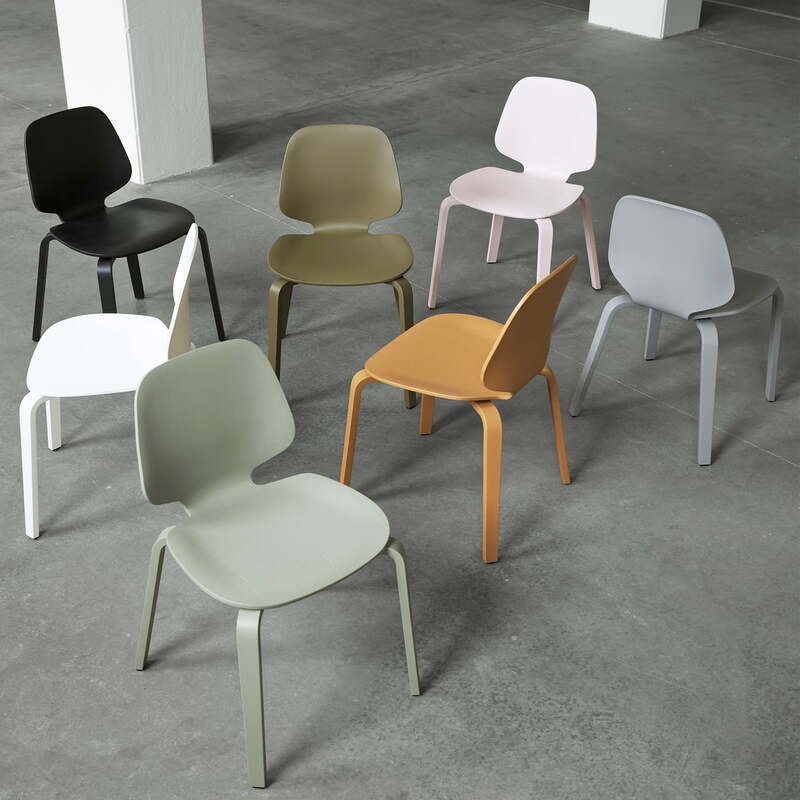 The My Chair by Normann Copenhagen was designed by Nicholai Wiig Hansen in 2013. The chair with steel frame and veneer seat shell is already a classic. 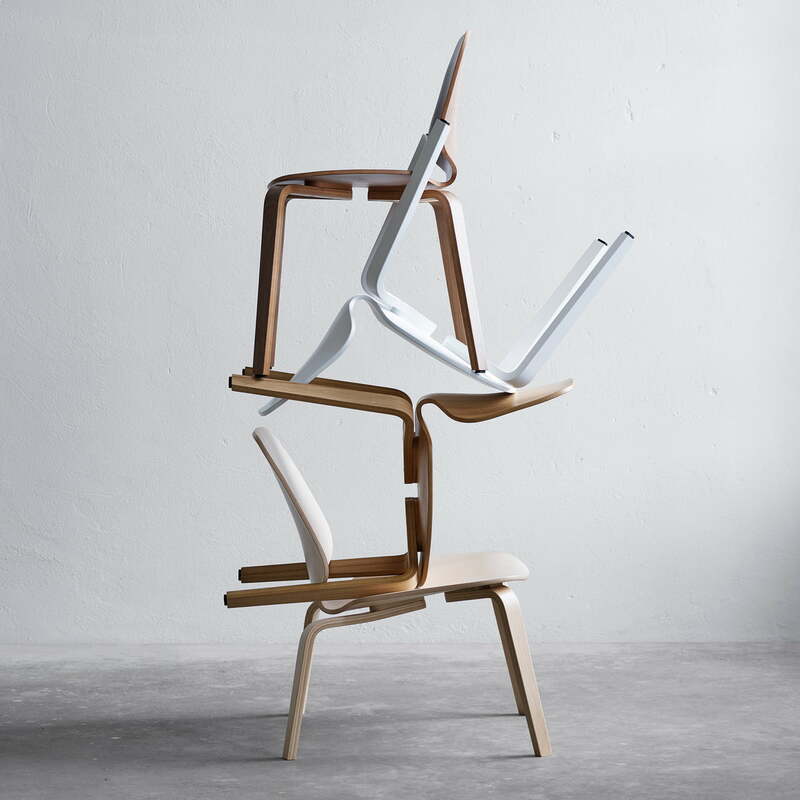 The series is extended with chairs with wooden four-legged frames. The My Chair Wood by Normann Copenhagen in the ambience view. The chairs of the My Chair series are stackable and can be stowed away in a space-saving way. The My Chair Wood by Normann Copenhagen in the ambience view. Several stackable My Chair chairs together create a harmoniously discreet image in the room. The My Chair Wood by Normann Copenhagen in the ambience view. 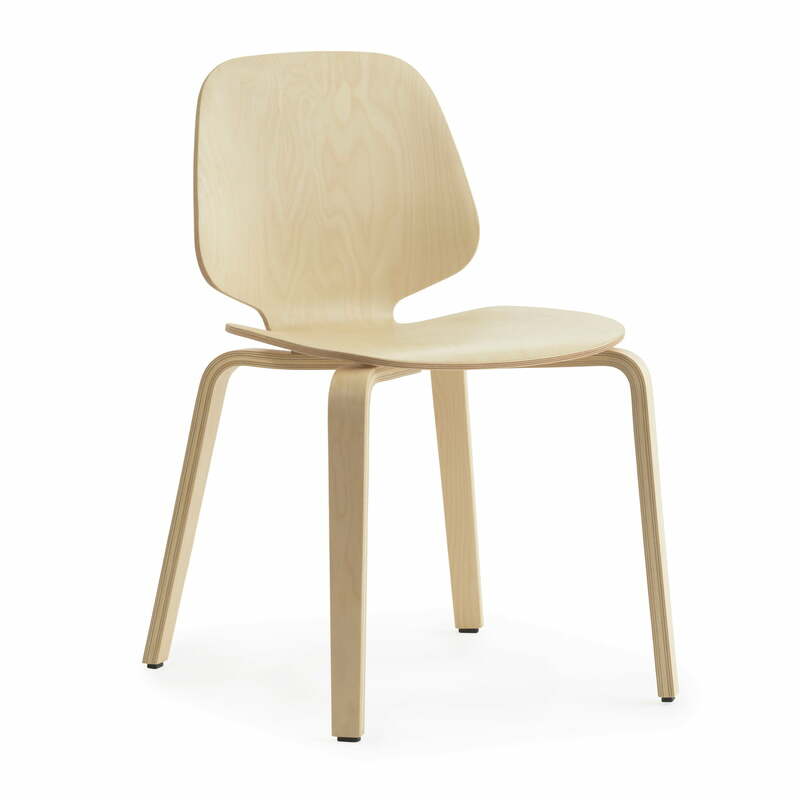 Made of moulded veneer that moves easily with the body, the chair looks simple and timeless. The My Chair Wood by Normann Copenhagen in the ambience view. 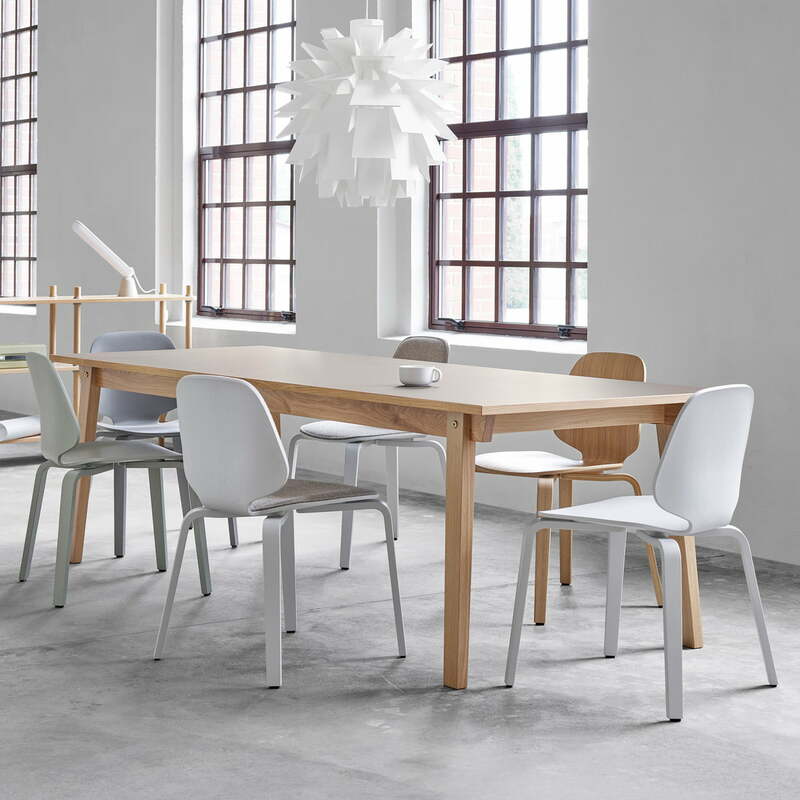 The simple chair by Nicholai Wiig Hansen is timeless and modern with several people around a dining table.